Dec 18 By Jen 11 Comments This post may contain affiliate links. 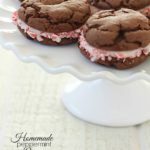 Homemade Peppermint Oreos – easy cake mix cookies with a yummy peppermint filling! 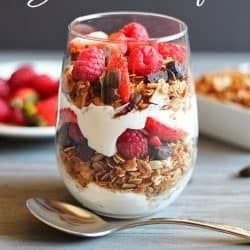 They make a simple but unique holiday treat. 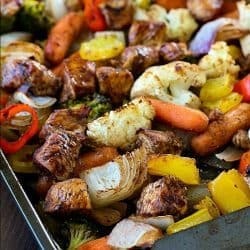 I shared this yummy recipe over at Your Homebased Mom a few weeks ago and had to share it over here before the holidays were over. 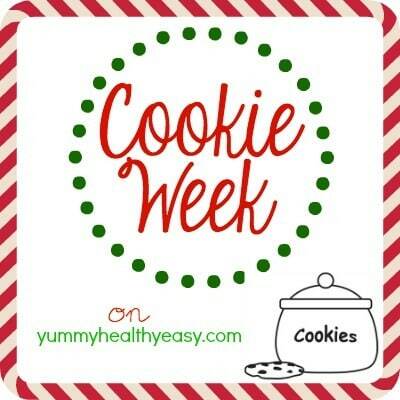 Especially since it’s Cookie Week here on YHE! 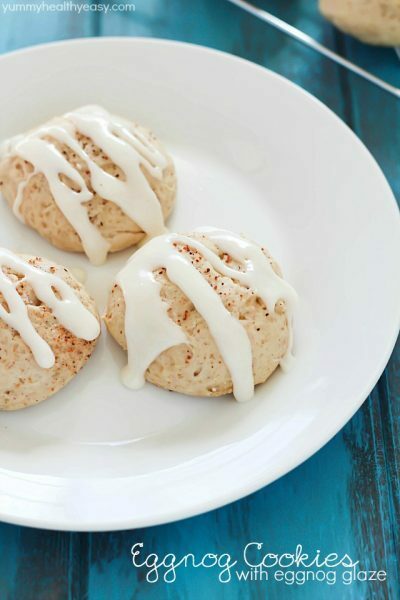 Speaking of Cookie Week, did you see yesterday’s recipe for Eggnog Cookies? 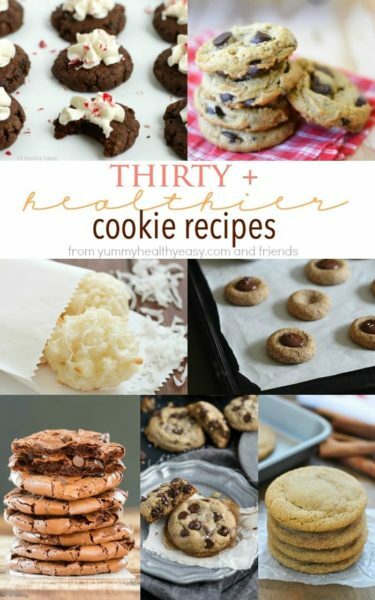 Or the 30+ Healthy Cookie Recipe Roundup the day before? 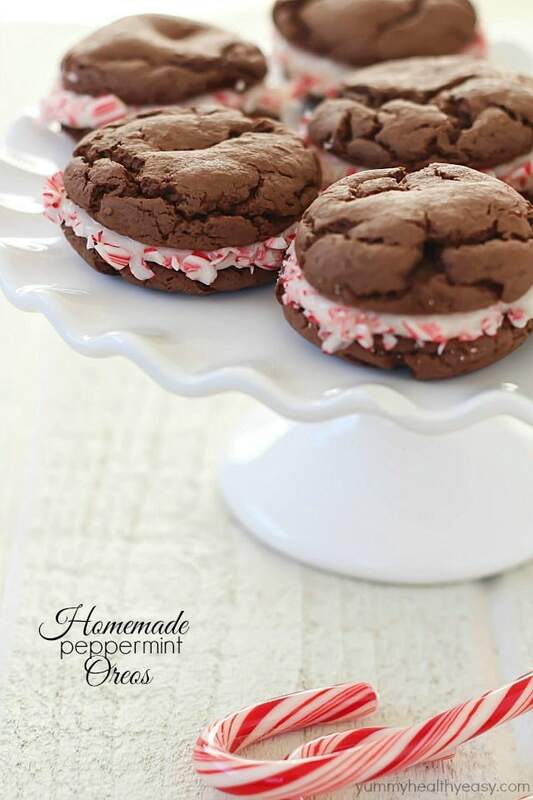 Or what about the Candy Cane Cookies from Day 1? 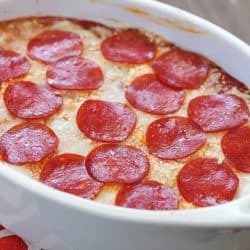 They are all really great recipes that would be perfect to make for holiday gifts or just to snack on at home. So, Christmas. Can you even believe it?! It’s absolutely crazy to me how quick it snuck up. One of my favorite things to do during the holiday season, is bake treats and give them to friends, nieghbors and teachers. In fact, I spent almost the entire day baking and decorating sugar cookies with my boys. Yeah. That was a LOT of work. Now I just need to make some of these Oreos to add to the cookie plates! I love making cookie plates full of a variety of different cookies. These homemade Oreo’s are unique and they’re super simple. The cookies are made from a cake mix, so yeah. It just doesn’t get any simpler than that! No measuring sugar and flour, just dump the mix in and add a few simple ingredients. I love how they crinkle after they’re baked. They’re soft, chewy and delicious. 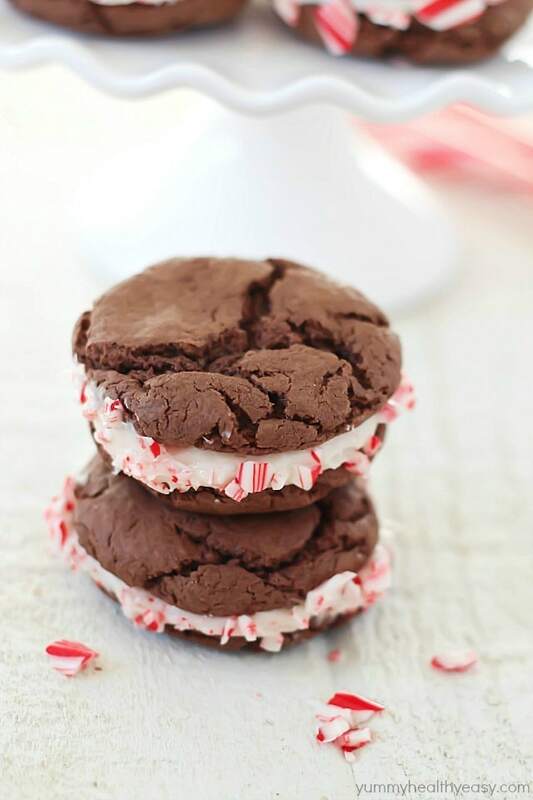 Add in a middle filling of creamy peppermint frosting, and you have yourself an easy (and totally cute) cookie sandwich that’s the perfect addition to your holiday cookie plates. Your friends, neighbors and kids’ teachers will love you! Preheat oven to 375º F. Spray the bottom of a cookie sheet with cooking spray and set aside. In a mixing bowl, mix together cake mix, eggs, coconut oil and vanilla until combined. (If batter is too dry, add some water 1/2 teaspoon at a time). Roll batter into 1" balls and place on cookie sheet and bake for 8-10 minutes. They might look doughy but they will be perfect when they cool! Combine powdered sugar, butter, milk, and peppermint extract in a small bowl with a blender. Add in about 1/8 cup (1 crushed candy cane and fold into frosting. Spread filling on one cookie then top with another. Option: Roll sides of frosting in extra crushed candy cane for serving. Enjoy! Like some of the time saved using devils food cake mix and how the tops are all crackly goodness texture. 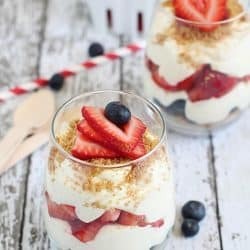 What a delicious looking and festive treat! Luv it and pinning!! LOVE cake mix cookies! Thanks so much for the pin, Cristina! Those cookies look so good. 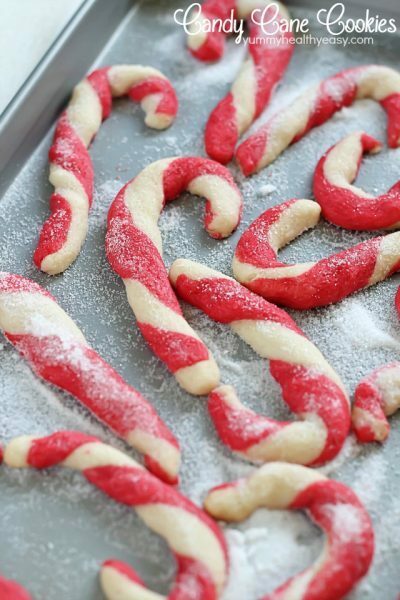 I love the addition of the crushed candy canes to make them look so festive. Gorgeous! Loving the photos and flavors here. These are my type of oreos! Real ingredients! 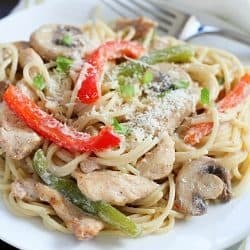 Absolutely delicious. Thanks Michelle!! 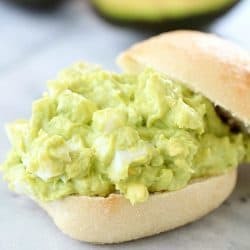 They were so good, I’m making them again for santa. 😉 Happy Holidays! 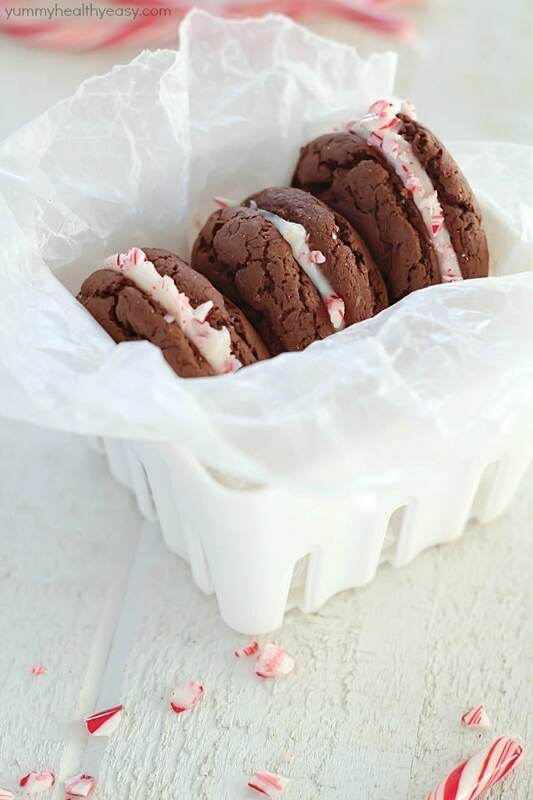 Such a fun way to change up Oreos for the holidays! I pinned this recipe and one of your photos was the cookies in a gift box. Bingo. Sweet present—pun intended. Who doesn’t love this flavor combo. It looks like Xmas too.